Categories: UNV, UNV 103. Tags: UNV 103, UNV 103 Week 5 Journal 3 Entry Understanding Plagiarism, UNV103, UNV103Week5Journal. Throughout this course, you will be asked to reflect on various topics in journal entries. Your Topic 5 entry will be about understanding plagiarism. The purpose of writing the journals is to provide you with an informal way of learning to express yourself and communicate through writing. Your writing skills will be developed throughout your program of study. Personal Knowledge: What is plagiarism? Academic Relevance: Why do you think plagiarism is a problem in academic work? 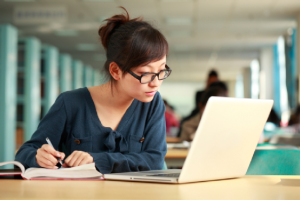 Why do think students plagiarize? Personal Connection: How can you avoid plagiarism? What resources are available to you? Reflection: Reflect on the overall learning objectives from this topic. What was a key takeaway for you?